Work of art. Artistically impressive. 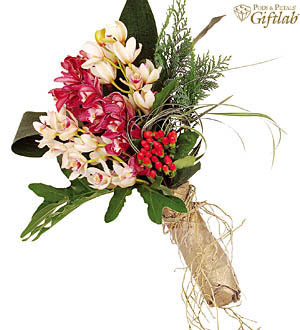 Orchids hand-tied with fibre roots.